Once again, as our client base diversifies across product category and geographical regions, we found ourselves checking out the health and wellbeing retail channel over in the US. As consumer technology continues to cross over into other consumer product sectors, we are really excited about the opportunities that we have in outdoor, health and wellness. Starting our tour in Seattle was great as it allowed me to combine some touristy stuff while working hard and the vibe in the city is amazing! Obviously, a couple of the smaller tech companies are there (Amazon and Microsoft…) so the tech crowd is a very active and vibrant community and just having the opportunity to share a beer and hear about what’s coming over the next few years was worth the air ticket itself. Spending some time watching the Microsoft demonstrators was incredibly useful as we saw first hand the absolute benefit of the correct training before unleashing a sales demonstrator on a consumer especially when it’s complicated product. 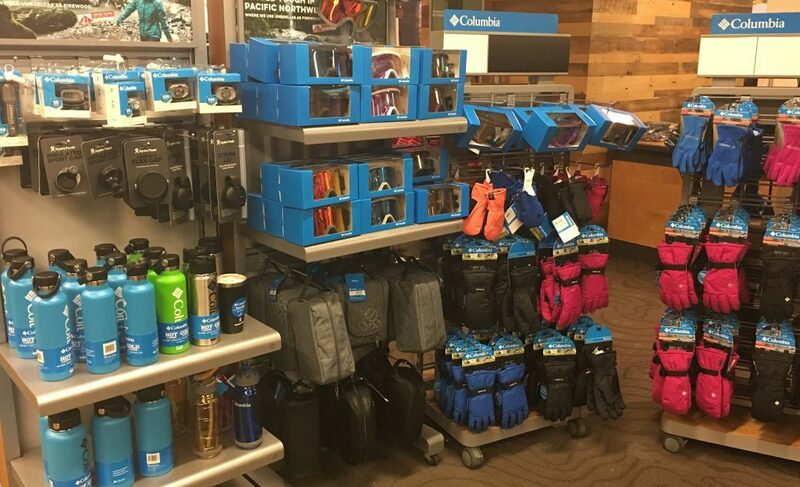 We loved spending time watching the sales process in the sports/outdoor stores as it feels more relaxed, but customers certainly need to “feel” the product and brand just as much as the obvious features and benefits. Another really interesting thing to learn was that brands in this space do not cut corners on investing in store to create the best environment to convert sales. Big shout outs to Columbia Outdoor wear https://www.columbia.com and Arc’teryx https://arcteryx.com for making such a huge effort to take the shopping experience to a new level with some amazing in store staff who are totally open to looking at new ways of competing with the digital, online monster that continues to eat their lunch. Salt Lake City was very impressive and the story of this developing city is pretty remarkable. Our business meetings were very successful and it was a real eye opener to see the types of volumes that the US retail market continues to achieve. I am a real glutton for data and insight into other markets and this trip certainly whetted the appetite to develop more North American business. As Twenty5Eight develops its reach in the US and Asia, I can’t help thinking that all the time we are also gathering invaluable knowledge about different markets that we can use to keep our UK based clients ahead of the curve.